I really enjoyed this book. I love the choose your own adventure style that it’s written in. I could read this book over and over and get new results each time. Awesome! 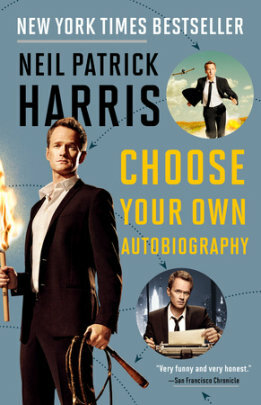 I learned a lot more about Neil Patrick Harris and the way he writes is very entertaining. It has a fun, humorous tone to it. His photo captions were also entertaining. It’s great that he is still very humble even though he’s very successful. He seems like a very down to earth person with a great family. I liked reading about how he got started in the business and what it was like filming Doogie Howser MD. My favorite part of the book was about him meeting David and their decision to have children. You can tell how much he loves David, the twins and being a father. It was very sweet. I would recommend this to fans of Neil Patrick Harris, people who like being entertained and fans of the choose your own adventure books. I received this book from Blogging For Books in exchange for an honest review. All opinions are my own. 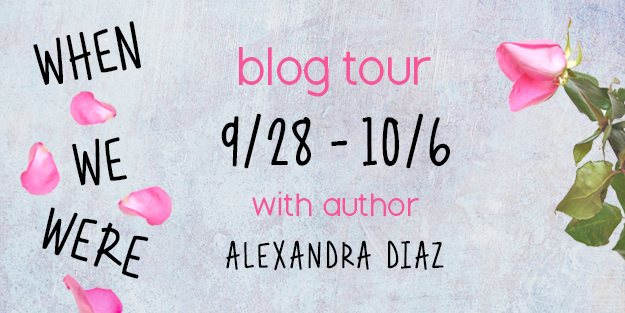 When We Were by Alexandra Diaz Blog Tour( and book review)! Alexandra Diaz grew up bilingual in Puerto Rico and various U.S. states. Thanks to an over-active imagination, she’s always loved creating stories and “what-if” scenarios. She got her MA in Writing for Young People from Bath Spa University in Bath, England and is the author of five young adult and middle grade novels. 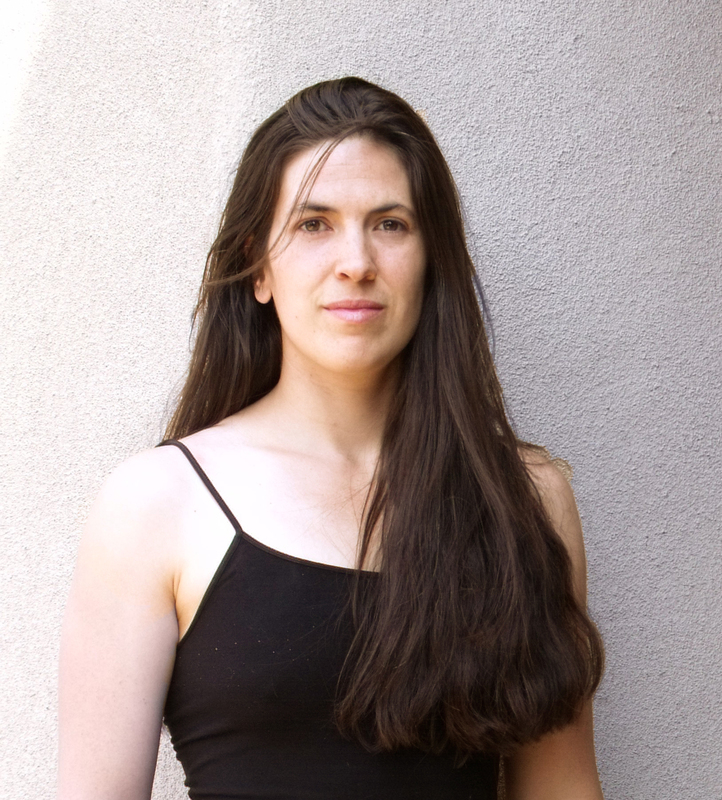 When she is not writing, she gets paid to walk dogs, teach creative writing, web edit, and parade in costume on stilts; sadly, other things she enjoys—traveling, eating ice cream, and circus aerials—don’t pay. Yet. Visit her on Twitter @alexandratdiaz, on Facebook, or at: www.alexandra-diaz.com. The book is written in the alternating viewpoints of three high school friends: the rich, but lonely, Whitney Blaire, the smart “mother hen” Pinkie and athlete Tara. Each girl has her own distinct personality and voice. At the beginning of the book, Whitney Blaire shows Tara a photo she was texted that appears to show Tara’s boyfriend making out with Chris Sanchez, a male cheerleader. Tara tries to get past it, but they end up breaking up. When a new girl named Riley moves to town it disrupts all three of their lives and their friendship. I think the author handled the situation in a realistic way. Pinkie’s reaction is probably how some people really feel when they find out that their female best friend likes girls. “Does she like me like that? Will things be different now?” etc. Each character has her own issues that she’s dealing with outside of the main issue of the book. Whitney Blaire may have everything, but her parents barely acknowledge her. Pinkie really finds herself and realizes that she can’t let people use her and rely on her for everything. She needs to be her own person. Tara is trying to figure out her new relationship with Riley and see where she stands with her friends when she encounters some family issues. I felt bad for her. The supporting characters are well written too. David is a great, supportive friend to all three of them during everything since he grew up with them. He’s a great guy and seemed like someone I would be friends with. He didn’t even freak out over Tara’s new relationship. He was like “Ok. Our friend’s dating a girl. So what?” I love Tara’s mom! She’s very understanding and accepting. I wish more gay teens had parents like her. She just wants her daughter to be happy. I like how everything leads up to the big marathon that Tara will be running. I think the ending was nice, but it was a little abrupt. I’m hoping there will be a second book but, if there isn’t that’s ok too. Disclaimer: I received a free copy of this book from NetGalley in exchange for an honest review. All opinions are my own. Posted on October 4, 2015 October 4, 2015 Categories BooksTags blog tour, book, Books, funny, glbt, Lesbian, NetGalley, reading, review, reviews, RomanceLeave a comment on When We Were by Alexandra Diaz Blog Tour( and book review)!